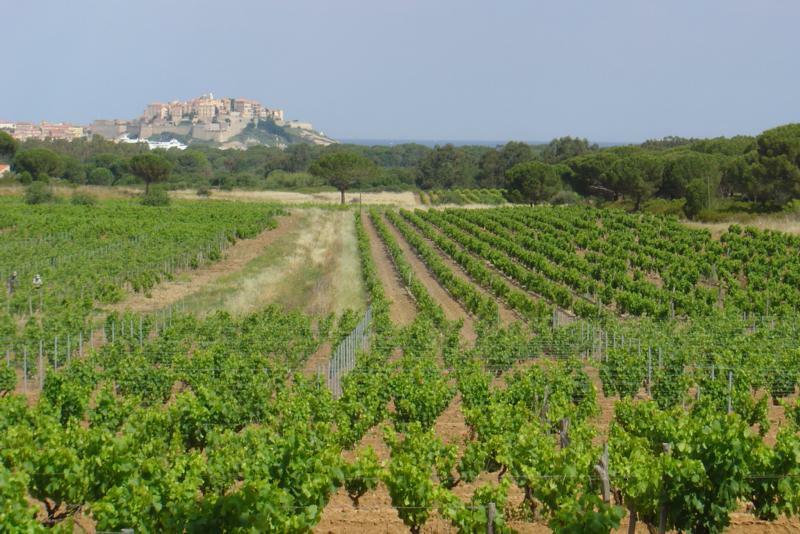 High in the foothills of Monte Grossu mountain, inland from Calvi, lies the granite plateau of Reginu, an area long known for U Vinu di E Prove – the wine of the Prove, as the micro-climate is known. The particularity of the plateau is the exposition to hot and dry daytime temperatures with high altitude cool nights, all within a short distance from the sea and regular maritime winds. The plateau has been continuously used for vine and olive growing for centuries, and was once the site of a major olive pressing operation that supplied a large part of France with its olive oil. In 1945, when the owner of the olive oil mill packed up and moved his operation to colonial Algeria in search of bigger land and greater profits, Roger Maestracci saw a golden opportunity and moved in. The departing olive oil baron had left behind a massive concrete structure with walls so thick the air inside stayed cool year round. Originally used to house the mill and the pressed oil, Roger adapted the structure for old wooden casks and concrete tanks and set about replanting vines on the property. Within a few years the domaine had established a firm reputation in the area and when it came time for Roger to retire in the early 1980's he passed along the reins of the domaine to his son-in-law, Michel Raoust, who has since handed over the winemaking and winery management to his daughter, Camille-Anaïs Raoust. Given the particularity of the terroir and the diverse influence of the temperature variations and granite soils, Camille allows the red an extended time to age and mellow before release, at least two years in large oak casks, while the white is bottled young to maintain the freshness and iodized ocean breeze of the terroir. The wines Camille makes are quintessential Mediterranean food wines.